First, water cannons, tear gas and stun grenades may be used. Next, warning shots can be fired into the air. Finally, and only if the disturbance is violent, the firing of rubber-coated metal bullets is permitted. In addition to raising concerns about the substance of these operating procedures, B'Tselem states, "the regulations are extensively and systematically violated, and the military does not take the necessary action to end these violations." Another major concern is the Israeli security forces use of live fire. In 2015, Israel passed a law that gives security forces greater latitude to use live ammunition against Palestinian stone and molotov cocktail throwers, including if they are minors. The video below from 2014, shows that the use of live fire against stone throwers, predates the 2015 law. Hebron - August 9, 2014. Israeli Army sniper shoots 18 year old Palestinian stone thrower in the leg. 100% of residents surveyed reported being exposed to tear gas in the past year. 87% of the respondents report being exposed in the past several years to stun grenades. 85% of respondents reported exposure to skunk water. 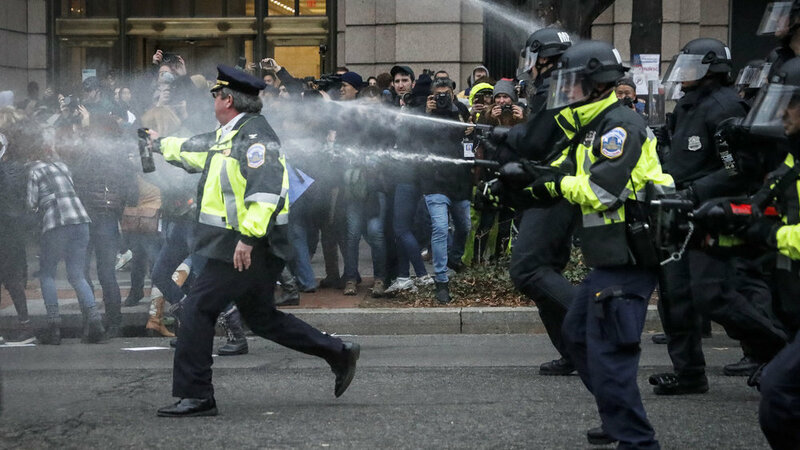 85% reported exposure to pepper spray. 54% report witnessing the use of rubber bullets. 6% report witnessing use of live ammunition. 55% of respondents describe between three and ten tear gas exposures in the past month (the month before the survey was conducted), both indoors and outdoors. 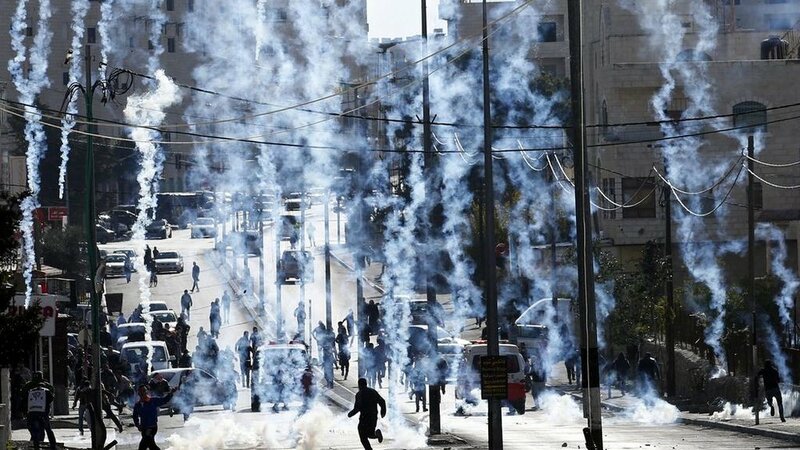 Border Police shoot tear gas at Palestinian protesters in Bethlehem.